Make sure those intercooler cooler lines don’t flex with Turbonetics T-Bolt Clamps. 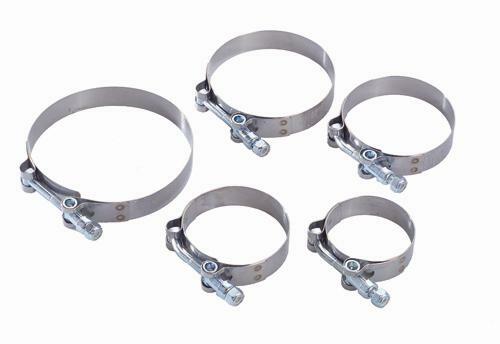 Rugged and proved, Turbonetics T-Bolt Clamps will ensure proper sealing on all intercooler connections. Available in all popular sizes, Turbonetics T-Bolts Clamps area a must for boosted applications.